Just when you thought Chronicle Caves couldn’t get any tougher: We’re proving you wrong and digging a new one! Only for the bravest-est: New Chronicle Cave 26’s swines may break your spines.. Or not! Are you up for the ultimate challenge? 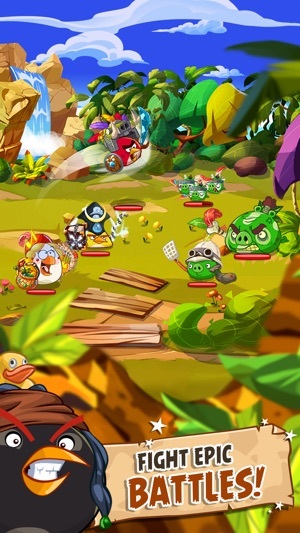 A perfect expansion of Rovio’s popular franchise, Angry Birds Epic finds the famous heroes engaging in a ceaselessly entertaining turn-based role-playing game. As you traverse a vibrant fantasy world and engage in increasingly fierce battles, victory will require careful preparation, thoughtful strategy, and just a pinch of luck. The game features beautiful visuals, easy-to-learn controls, and a level of challenge that’ll satisfy genre veterans while captivating beginners. I played this game for about a year when it first came out, and I was totally in love with it. However, when I decided to pick it up again recently, I noticed a major issue. I think I participated in some event several years ago and never collected the rewards, and now that event has been removed from the game, but it's still giving me alerts to collect my rewards. When I try to click the alert nothing happens, and when I try to click on the latest event to participate, it just says "calculating rewards" (im guessing from my previous event) and nothing happens and it won't let me click out of it so I have to restart the game. So basically it's preventing me from participating in any event at all. iirc the event I participated in was either the Puzzles and Dragons collab or the one right after it (yes, it was that long ago). I don't even care if I lose my rewards from that, I just wanna play the halloween event and it won't let me! I absolutely love this game I want to be able to play to its full capacity. 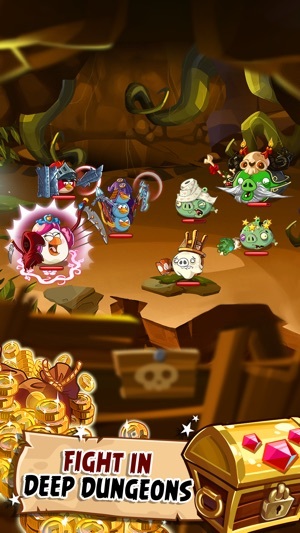 Angry birds epic is one of my favorite mobile games. I cannot say enough good things about this game. You can play the game how you want to play it, you can just complete levels, or collect every item, or three star every level, and do so much more. On top of that the battle system is amazing, this game pulls of turn based combat SO well. Also, the online play is also not forced on you. 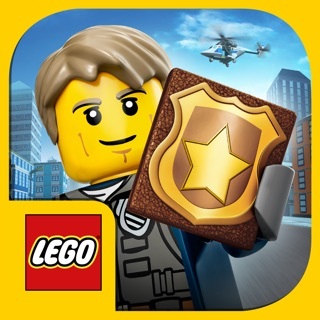 With that being said, I think the best feature is unlike 99% of mobile games, you can actually complete the main story WITHOUT spending real money. All around I think this game has to be one of the best mobile games ever. You do not have to grind in order to progress, and most levels make you select the right classes in order to win. 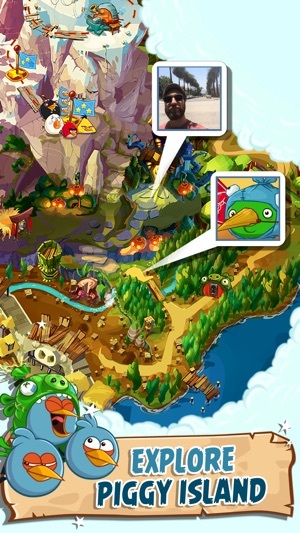 The story is also decent for an angry birds game. 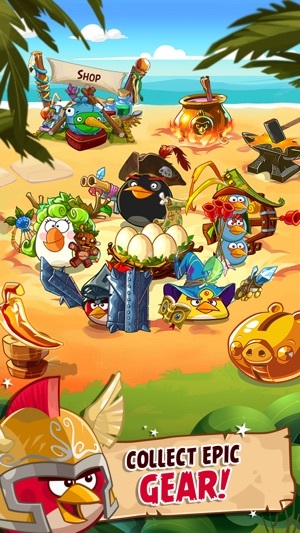 It’s also a blast to pick and choose your favorite bird combos. 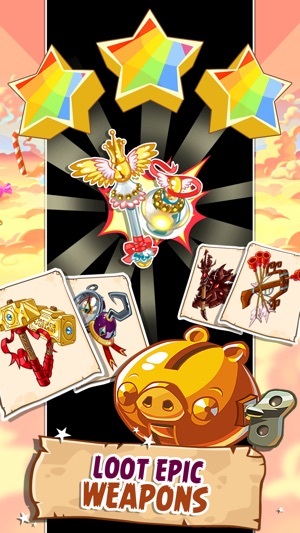 This is a great game and I would definitely recommend it to anyone looking for a good mobile game.